Most of us are familiar with the divide between Android OS versions on the market currently, and we have been hearing that upcoming Android release are planning to address that issue. On Monday, MercuryNews had a talk with Andy Rubin, Google's VP of Engineering. He mentioned that the Android OS updates will be rolled back to a larger gap between releases (aiming for a one year separation) and another juicy detail. As for how long it will take to reach that point of one release per year is not clear, but I'm pinning my hopes that will be the routine by next year. 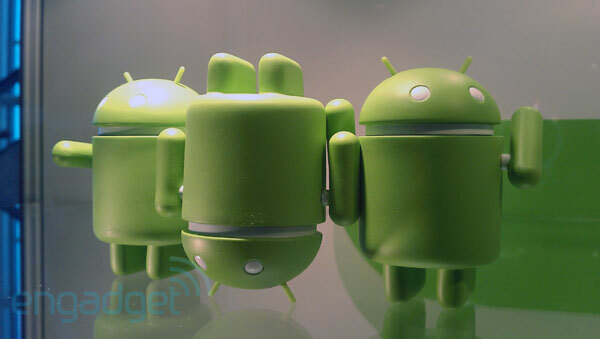 AndroidandMe writes that the speed in which Android versions are released "has been due to their need to bring the “product up to market spec." OEMs and developers will likely be the most gladdened by this news, but users will hopefully realize that long term this is necessary for the well-being of the platform." Rubin notes that the current release cycle is "basically twice a year, and it will probably end up being once a year when things start settling down, because a platform that's moving — it's hard for developers to keep up." He also mentioned that Android is headed into cars, and we have already seen a taste of that with Ford's plans to allow using an Android phone with your car, or some wierd Frankenstein mix of the two. Maybe we will even see car systems based around Androind. At this point, it seems like the sky is the limit for Android.